This gathering of plants, people, and songs, can be summed as: Singing Alive + herbal gathering = Plants EnChant! It is intended to develop and strengthen ‘medicine culture’ thru the healing arts of holistic education, song-sharing, life-as-ceremony, and supportive community. Plants enChant recognizes ‘medicines’ as the force of nature that cures dis-ease, that takes us from being sick to being free. This event aligns more with ‘deep herbalism‘, which cultivates a relationship thru plants to the healing presence of Nature, a pro-active approach to health, and less with the ‘shallow herbalism’ of ‘take the tincture and make the symptoms go away’, a greener version of the pharmaceutical model. Plants enChant recognizes plants as the greenprint of all medicines. It acknowledges plants as elders in the society of nature as it exists on planet earth, and therefore teachers to the adolescent human species. In their yet more primal aspect, plants are ‘umbilical cords to Gaia’ (Rosemary Gladstar); they ‘help us remember’ (Stephen Buhner). As such, they can keep us aligned with the healthy functioning of the planetary metabolism, mirrored in our own inner and social ecologies. All plants (and fungi), are teachers, if related to as such. 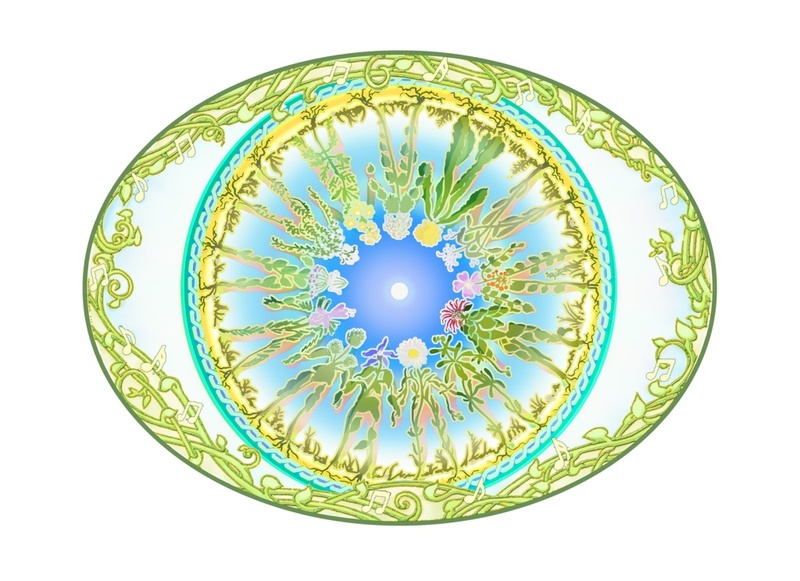 Plants enChant is intended to honor and give space for their wisdom, to activate our abilities to receive it, and put this guidance into practice through the cultural forms and ways they affirm. We invite all who feel called to the Way of the plants. This Way has many names: indigenous consciousness, path of the heart, way of the Bird Tribes, culture of peace, the inbody experience, earth-based spirituality, eco-centric worldview, dawn of the bridge people, the Ones we’ve been waiting for . . . All recognize a planetary dharma of self-responsible living, of conscious co-evolution, all are guided by the feedback compass of heightened states of well-being. Such paths have been variously lost, suppressed, distorted, and forgotten as humanity has undergone its transformations in the chrysalis of egoic conditioning. As increasing numbers of us emerge from this collective initiation, we spread the wings of our species maturity, drawn to the heights of our destiny in the planetary design. To perform the Gaian dream, our dream, we recognize that it is time for a new sun to dawn, for the human heart to light a new path for creation. Plants, as seekers of the light, help us clear the clouds from our heart, from our minds, awakening us to the spontaneous life of our inherent divinity. 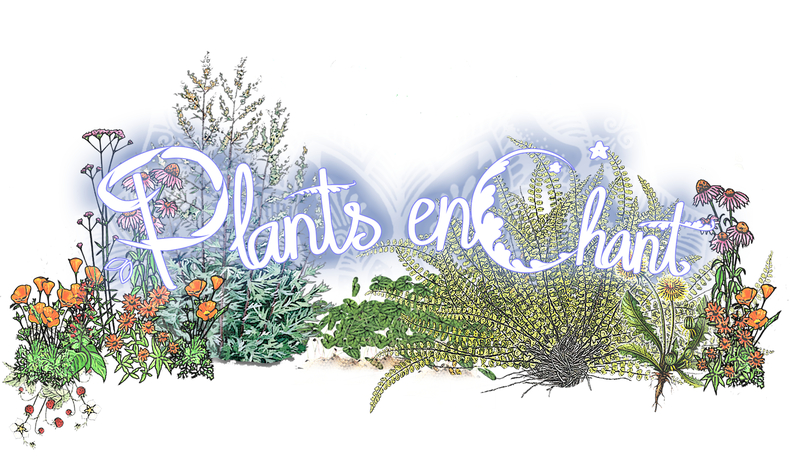 Plants EnChant is intended to help us shed the vestiges of fear-based life ways that impair our communications with plants, and associated beings both seen and unseen. To attune to plants is attune to more expansive dimensions of ourselves, to our soul. This gives our innate altruism space to exercise itself; it activates our inherent abilities to ‘read’ the natural world, to hear it songs, to smell its personalities, to feel its affinities, to taste its stories, and respond in kind. Restored to our senses, we find beauty in the walk of life, discover ourselves in service to the well-being of All, to Life. In such ways we arise from the dream of separation, and rediscover a world magically alive, intelligent, and communicative. In such ways we sing alive a world of enchantment! Eco-conscious models of self-cultivation (gardening the spirit) and identity in reference to industrial growth society that are pro-active, generative, and organic, rather than reactive, passive, and mechanistic. Experiential offerings. These include: 1) ways to awaken and develop the subtleties of the senses, and the balanced ratio of their use, such as meditations that tune-in to the deeper characters (‘feeling tones’) of plants, that evoke ‘plant whisperings’. 2) opportunities to ingest or embody particular plants in circumstances of ceremony, with facilitators who are experienced with their use. Tell-a-Vision ~ in which we share plant (and fungi) visions, and experiences of radical symbiosis, in a group setting. Plant inspired songs, ranging from songs to invoke the spirit of particular plants, to those relating to the larger cosmos of ecosystem relations, in both honoring and teaching aspects. And . . . Ethical wildcrafting, medicine making, gardening perspectives, astrological considerations, plant biographies, herbal first aid practicalities, daily plant walks, and . . MORE, including a marketplace on sunday afternoon, and song circles @ night. 2019 will be the fifth year for this gathering. It is seeded from the NW Herbal Faire, The Fairy Congress, and Singing Alive events. Come be part of the new growth! Copyright © 2019 Singing Alive. All Rights Reserved.